How many days is it until Riverdale season two is back on our screens? 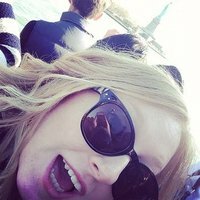 *sighs* To keep us occupied during the filming of the second season, the cast have been uploading behind the scenes snaps to their social media accounts non-stop and fans have just sleuthed something juicy lurking in the background. A new character has been spotted on set in the cast members' snaps but no one quite knows who she is. 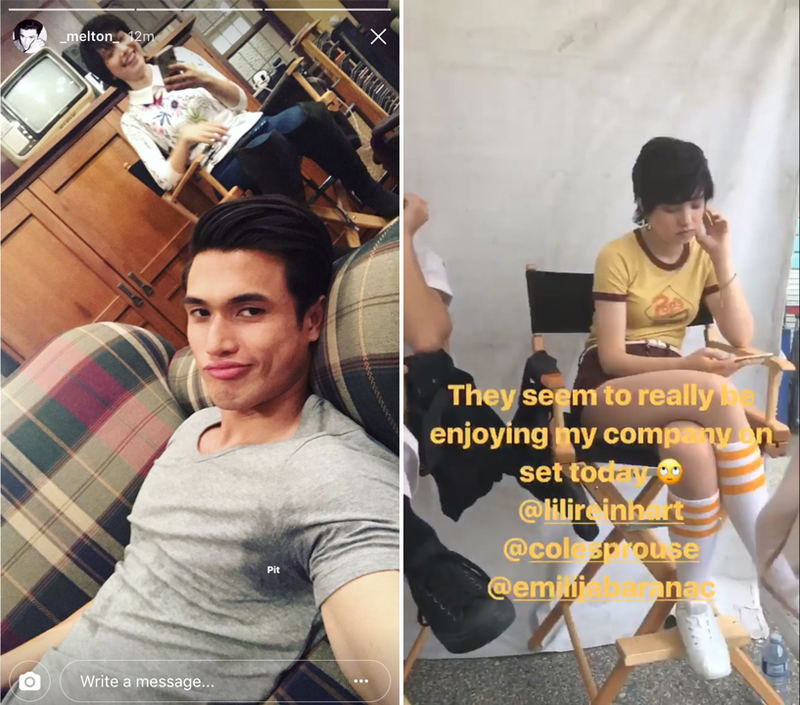 The character, who has short black hair, made an appearance on both Charles Melton's (new Reggie) and Mädchen Amick's (Mama Cooper) Instagram stories over the past couple of days. And she was also spotted lurking in the background of a group snap on set with the Pussycats. There's been a bit of speculation that she could be playing Jellybean Jones but then again, Jellybean is much much younger than the core squad and there's been a few suggestions that she may even be the new character Toni Topaz, but as per the casting call, Toni will probably have pink hair as she does in the comics so it's probably not her either. That leaves us with one other option: Midge Klump, Moose's girlfriend and well... she certainly fits the bill, doesn't she? The character of Midge (still unconfirmed but let's face it, probably) will be played by Emilija Baranac. Welcome to the squad, babes.